Using mushrooms as an ingredient to our food is a pretty good idea. Not only does this make it taste more delicious, but it also has its own health benefits. This is the reason why using mushrooms such as chanterelles are growing in popularity in many dishes nowadays. However, it's important to clean them so that we won't experience any stomach pains or indigestions. In this article, we're going to show you How to Clean Chanterelles. The first thing you need to prepare is a basket. In choosing one, make sure that it is spacious enough to accommodate a lot of chanterelles. You don’t want them to spill over, which is why they should be nicely tucked inside the basket. The next thing you need to consider when choosing a basket is its weight. It should not be too heavy so that your hands won’t get stressed up. And also make sure that it is comfortable to hold on to. You need to prepare gloves because you're going to use this in picking the chanterelles as well as in cleaning them. You need two types of globes. The first one is gardening gloves that you're going to use to protect your hands from the thorns that might be present when you're picking them. The other type is a rubber glove that you'll wear when cleaning them by hand or by water. These chanterelles are delicate which is why they need to be dealt with gently. Wearing gloves would do just that. You're going to need a paintbrush because this will be used to remove any debris or dust that is lodged within the chanterelle's surface. The brush should be small enough to enable you to precisely remove any dirt that creeps on its linings and sides. Any paint brush will do. But just make sure that it’s small, thin, and sturdy. You don’t want something that’s too hard because this will damage the chanterelle. Prepare a clean piece of cloth. It would be better if it is a micro-fiber cloth so that there would be no strands that will stick on the chanterelle. It’s best if you have different kinds of cloth prepared, where each one would be used on top of the other. Put it this way. You’ll be using the first one for the initial cleaning and wiping stage, and then you’re going to repeat the process with another cloth. You know how this goes from then on. This is also necessary because you’re going to use this after washing the chanterelle with water. But make sure that the paper towel is not too rough because these chanterelles are delicate. They can easily break off with the slightest miscalculation. When choosing one, it’s best to get the one that has no textures so that they’ll run smoother on the chanterelles’ surface. The first thing you need to do is to collect chanterelles. The best place to pick them is in forests which have damp soil and have lots of trees. Mushrooms, specifically chanterelles thrive in these kinds of environments. Once you’ve found one, what you should do is to remove the leaves, branches, and other debris that might be covering your chanterelles. You want to make sure that everything’s clean and spacious for you so that you can avoid injuries. What this means is that your chances of finding chanterelles is higher when you’re looking for it under trees, branches, or dried up leaves. Once you’ve done the first step, it’s now time for you to shake the chanterelles. It’s in shaking it that dirt, insects, and other debris will fall from it. Aside from these, spores will also fall to the ground. These fallen spores will then grow back into new chanterelles, giving you lots of new ones to pick in the future. Shake it until you find that it’s already clear of dust and insects. When you’re doing this, it’s best that you bring with you a basket instead of a bag. This is because, baskets have little holes underneath it, where spores can fall to the ground. Once you arrive home, you can now start the cleaning process. The first part of cleaning should be done by using a paintbrush. A paint brush is a very effective tool to remove the dirt and any earth that might have stuck to the chanterelles. It’s important that you do the cleaning very gently because chanterelles are usually very soft and can easily break. Do simple strokes when you’re using the paintbrush. Do it in an upward and downward motion so that it will follow the creases and lines of the chanterelles. Once you’re doing that, it’s now time for you to use a dry cloth. 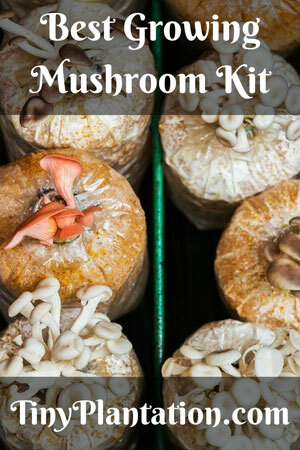 the dry cloth will act as the second layer of cleaning tool that will ensure you that the hard to remove stains will be removed from the mushroom. After that, it’s now time for you to dry it up in the sun. The sun’s heat will act as the one that will break down any microbes that might have built up on the surface of the chanterelle. This will also dry the mushroom enough for you to see if there are more dirt, earth, or small critters crawling on it. Dry it in the sun for an entire day. Once you’re done doing this, it’s now time for you to repeat the paintbrush and cloth cleaning process. This assures that there will be zero dirt and grime on your chanterelles. Remember, you’re going to eat them, that’s why it’s important that you ensure their cleanliness. Now is the time for you to thoroughly do an inspection on the chanterelles' body. Do an eye check on it and spot if there are any defects on its body. You want to cut the ones with defects, lines, or tiny holes because they might harbor small worms inside it. These can easily spread to the other healthy chanterelle, that's why it's better if you discard them wholly. If you find it wasteful, you can just cut a part of it. Then get a cloth or a paper towel and moisten it a little bit. It should not be too wet because if it is, it can easily damage the surface of the chanterelles. You also don't want to wash the chanterelles under direct tap water because this can spoil it up. Just gently wipe it wish moist cloth. This will be your finishing process. It's more of like a touching up process where you are ensuring that it's going to be safe for eating or storing. With all of these being said, you can clearly see how important and easy it is to clean chanterelles. Though it might sound to be a daunting task at first, it really isn't. As long as you prepare the right things and materials, and know what to do, there's no doubt that you can do it. Do you have a question about the topic? You can also hit us up with a message anytime. We'll be more than happy to get back to you with our own answers. Till then, have a good time in cleaning your chanterelles. Hopefully, this article helped you out. If you find this article to be useful, feel free to share it with other people whom you think is also interested in this. Not only does this improve their culinary knowledge, but this also ensures that what they're eating is clean and hygienic. Chaga vs Reishi: What Is the Difference?